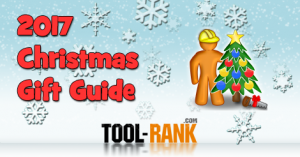 I know how hard it can be to buy gifts for your family or even to come up gift ideas for yourself when asked; so every year I put together a Christmas Gift Tool Buyers Guide of a few tools or accessories that I think an enthusiastic tool user might enjoy. Heck, I want some of these for myself. 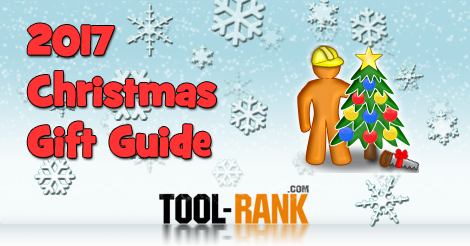 You can also take a look at our past Christmas Gift Tool Buyers Guides to find even more awesome tool-related gift ideas. Also, be sure to check out our Hot Deals section to see if any of these tools are on sale. If you are in a real rush, I put together a page that features most of the tool recommendations from all of our past Tool Gift Guides. One of the problems with hole saws is the amount of time it takes to change them out for a different size. The mandrel from Fastcap features a clamping mechanism that makes it possible to change a hole saw in 5-10 seconds. Gone are the days of having to unscrew hot saws. If you turn off most calipers you lose your measurement position; not with this one, though. It knows what position it is in even when it is off; meaning, you never have to start at zero. I own this model and I love using it. I got the RSC-8 by chance a few years ago, and as a carpenter/woodworker, I didn't think I would use this metalworker's clamp much. As it turns out, this is one of my most used clamps. With over 700lbs of clamping force, I use this when I need to get stubborn things to comply. You can't exactly take a workbench onto a jobsite; or can you? The WORX Pegasus is a portable sawhorse that converts into a versatile work table. Featuring built-in clamping rails and holes for bench dogs, it can clamp and hold just about anything you can fit on it. I am a huge fan of Milwaukee's cordless LED work lights and the Dual Power ROVER is no exception. Providing 3,000 lumens, it is a true halogen replacement. It can run up to 9-hours on the low 650-lumen setting, or it can be plugged into a wall and run all day. This is the router I use and I love it. It has a cool micro-adjust feature that works great for dialing in heights, and I can easily swap out the fixed base for the plunge base. I am thinking about buying another one; it is that good. With Fluke's new FieldSense technology, the T6 can measure voltage up to 1000V AC through its open fork without the need of test-leads; thus making voltage testing much safer and a lot faster to do. The Bosch GSA18V-125N is one powerful reciprocating saw and pair with the large 6.3 amp battery(sold separately or as a kit), it can last. It may look a little weird, but its shape provides several holding positions that allow it to be used comfortably whether cutting vertically or horizontally. Skil is bringing their worm-drive technology to a full-sized portable jobsite table saw. Why is this good news? The worm drive is able to deliver more torque—something even most 15-amp table saws lack. The saw also features a rack-and-pinion rip-fence that ensures it is always parallel to the saw blade. CNC Routers are hot right now and if you are a Maker or a DIY'er you probably want one. There are so many assembly kits to choose from these days it can be hard to know if you are getting something that is quality made. As of right now, I think the WorkBee from Ooznest is the best assembly CNC router kit on the market. It uses the C-Beams from Openbuilds and 6mm aluminum plates to ensure a strong, rigid platform. This one is on my Christmas wish list.